Ocean has developed High-tech Box Strapping Plant to produce straps from PP / HDPE / PET, suitable for manual and heat-sealing straps. Ocean also offers plants for single line, two lines, three lines and four lines straps with width of 6mm, 9mm, 12mm, 16mm and 19mm. 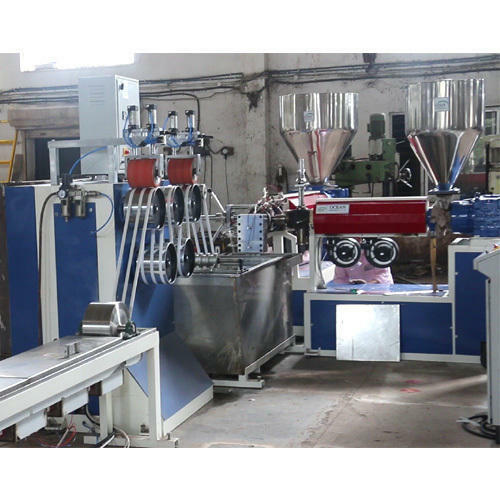 Also offers Co-Extrusion Plants for two layer or lining on straps with high production range from 35kg to 150 kg/hrs capacity. PP PET Box Strapping Line is a perfect solution for packaging requisites in industries which make use of box strapping technology. PP box strapping plant is suitable for higher productivity and pp box strapping machine stays effective in producing different models and different dimensions of box strapping and PP PET Box Strapping Line. PET box strapping machine is yet equipment that stays useful in making PET box strapping line which is them applied in production of box strapping. This material is a significant option while stuffing products like pipes, wooden crates, strapping of building materials, etc.